Separate the eggs. In a large mixing bowl beat the egg yolks, butter, sugar, vanilla and orange rind together at medium speed until creamy. Add milk. Stir baking soda into orange juice and slowly add that to the large mixing bowl. (At this point don’t worry if it separates, it’ll still come out) Then add the flour and baking powder into the bowl lowering your mixer speed to avoid a huge mess, then allow to combine at medium speed. In a medium bowl whisk the egg white to form “stiff peaks”. Mix in 1/2 the egg whites until combined, then gently fold in the second 1/2 eggs white to lighten up the batter a bit. Pour your folded batter in your prepared pan. Take a thoroughly washed coin, wrap it in foil and slip it into the batter (2″ away from edge works well). Bake in the oven for 30min. After it is finished baking let it cool in the pan on a cooling rack for 15 min and then remove from pan and allow to cool completely. After it is cooled dust with powdered sugar. 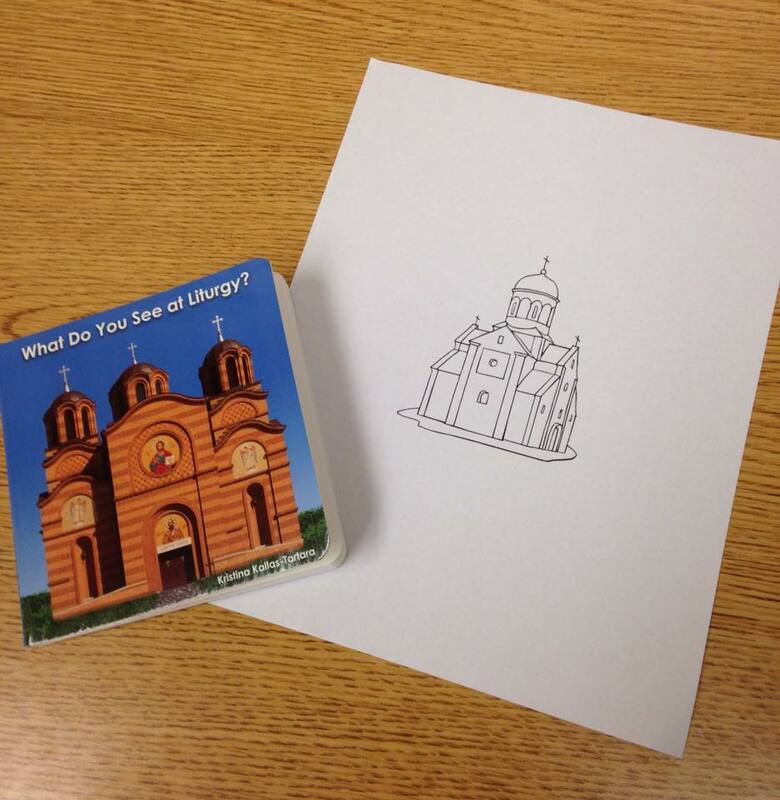 We began by talking about and then drawing something we remember from Liturgy… which happened to be Fr. Thomas. We then took a “field trip” to the Church to play a version of “I spy”. 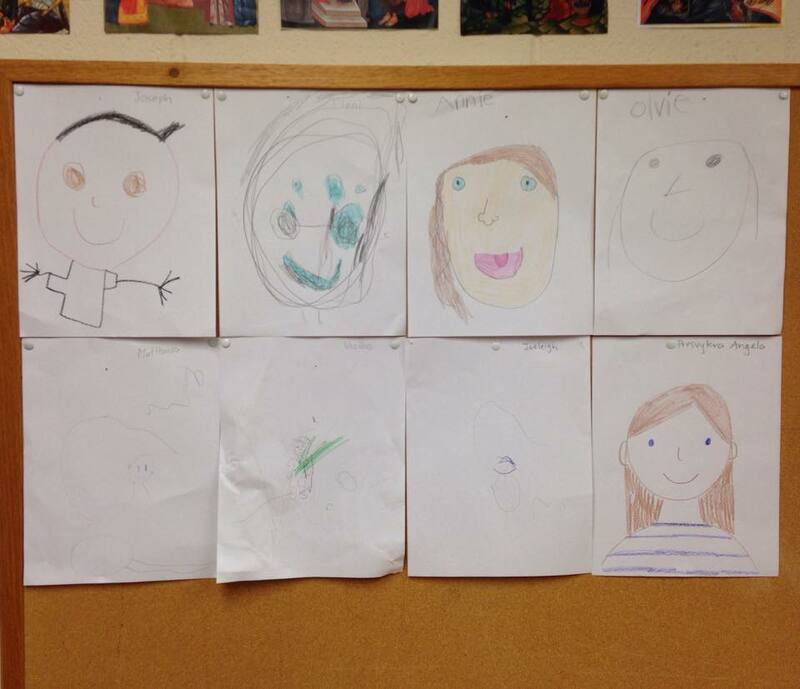 I took pictures of the things they spied and will print them out for our classroom Orthodox “word wall”. 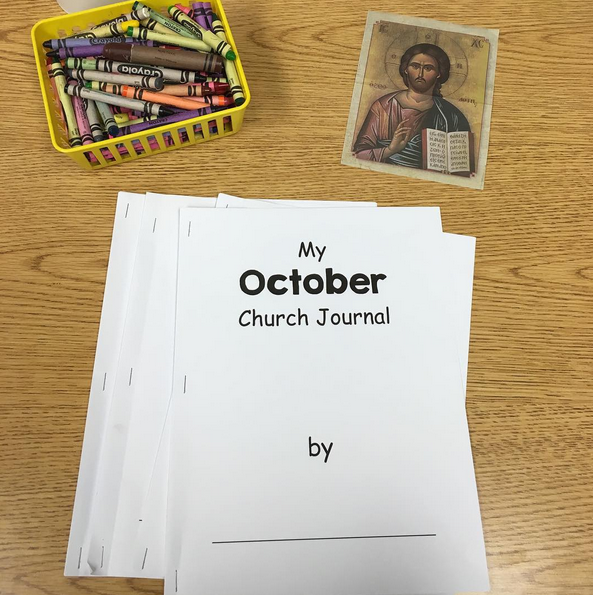 We started (and introduced) our monthly journals. Today’s journal prompt: “Draw something you remember from Divine Liturgy”. The purpose is to hopefully help them verbalized what they are personally seeing or experiencing. It also helps to transition before we begin our lesson or during snack. We talked about prayer and made a list as a class describing/defining prayer. 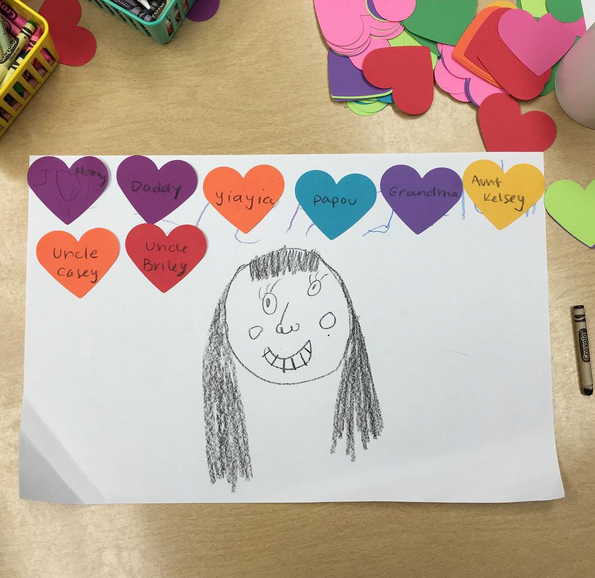 Next we drew ourselves in the center of the our own paper gluing on hearts for the people and things we pray for. Seventh day of Church School (really 8th, but I was sick last week)!!! We had a great conversation about why we light candles and how they represent a prayer, but can also remind us that Christ is the light. We talked about how God is always with us and that He is our light. 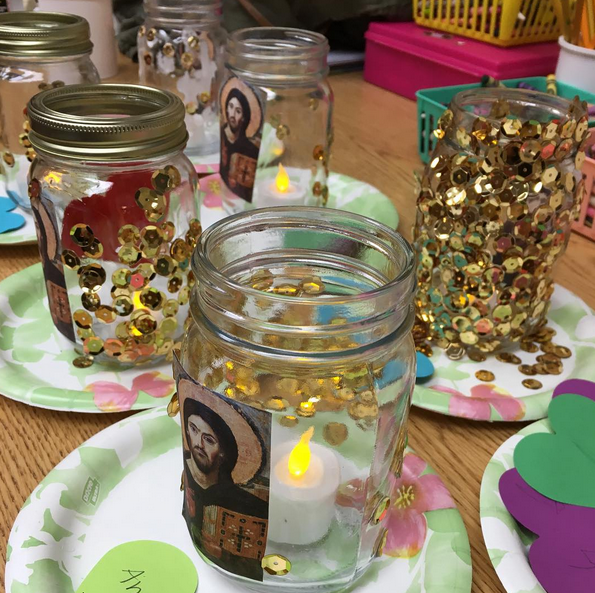 We made lanterns with the icon of Christ to represent this, and added sequins to show the light of the candles we light at Church. 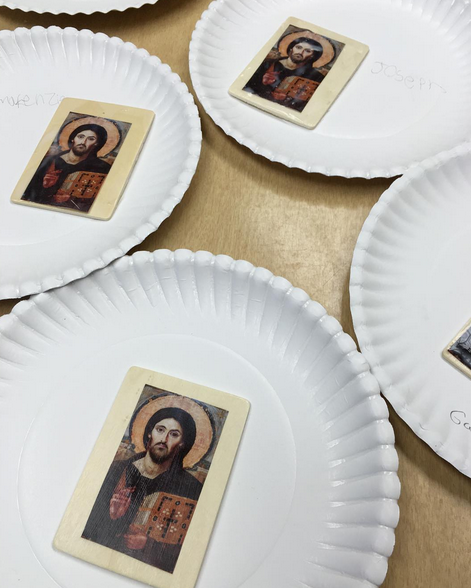 We had a great conversation about icons: where we see them, why we have them, why we venerate them, and what we notice about them (size, material, symbols, etc). To illustrate this tangibly, I brought icons from home of different shapes, sizes, detail, and materials. I also showed them the one Fr. Thomas made when he was younger. We then each made an icon to take home. We talked about today’s feast day, our guardian angel, and the guardian angel icon. 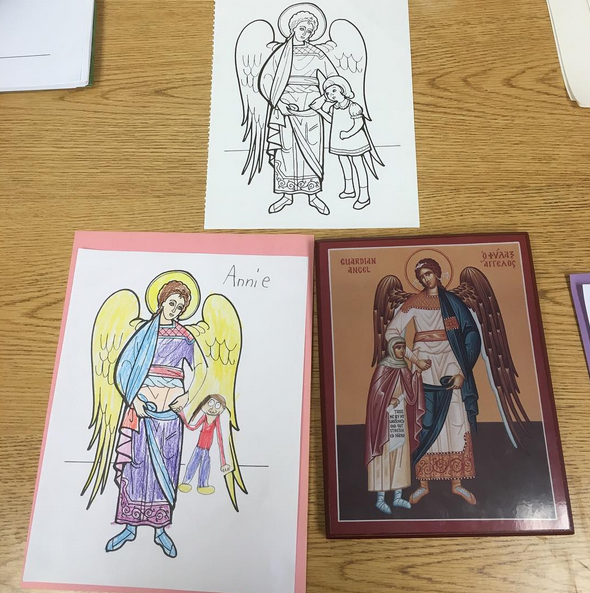 Then we drew ourselves holding the angel’s hand (I made copies without the little girl), colored it in and the glued it onto construction paper. We talked about story of The Good Samaritan, the greatest commandment, and who is our neighbor. They wrote their names on hearts for the amount of people in the class, the passed them out, one by one, to one another. 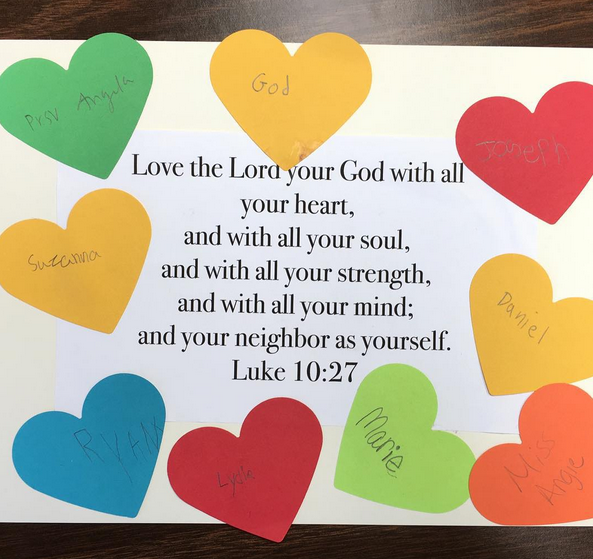 We glued the verse, God written on a heart (because we love God with all our heart) and the hearts (to symbolize our love for our neighbor) onto card stock. 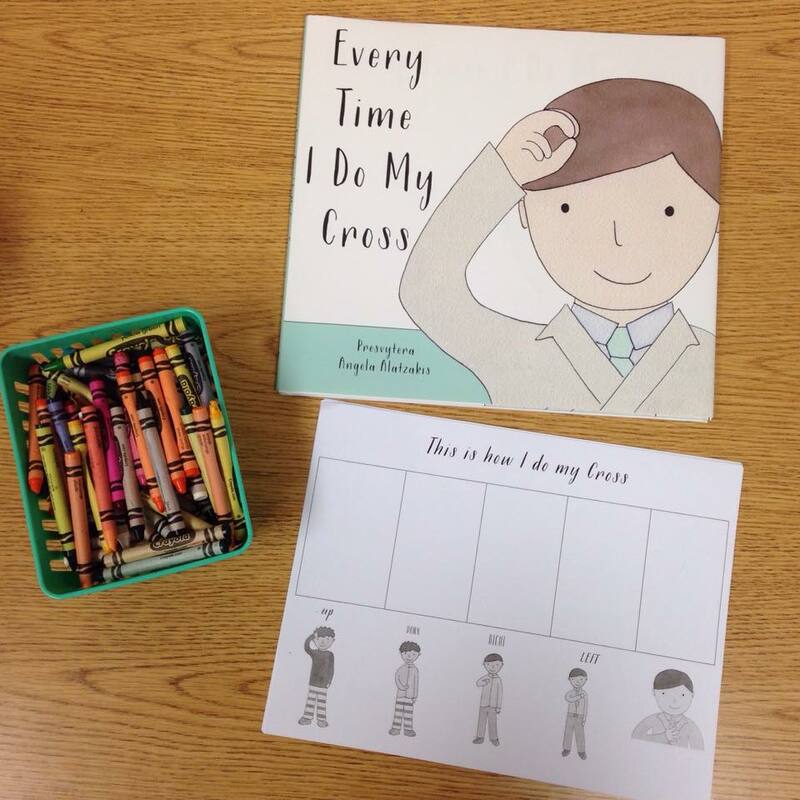 We read the awesome book What Do You See at Liturgy? by Kristina Kallas-Tartara. Afterwards we colored in the Church and drew ourselves, our families, and the things we see. 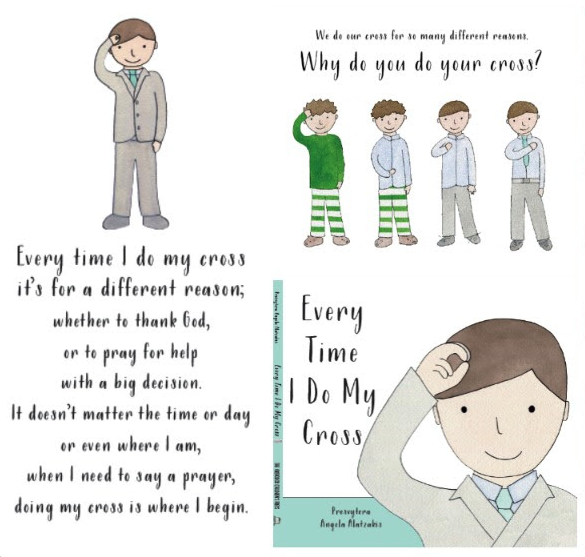 We read Every Time I Do My Cross as well as talked about and practiced making the sign of the cross. If you haven’t yet, you NEED to check out this amazing and brand new blog, Christ, Coffee, and Comics, which offers reflections on Comic Books and Theology by a Greek Orthodox Priest. It’s written by the wonderful and talented, Fr. 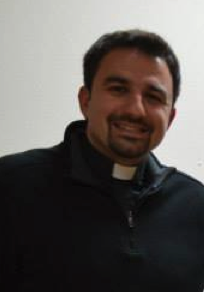 Niko Bekris of Annunciation Cathedral in San Francisco. 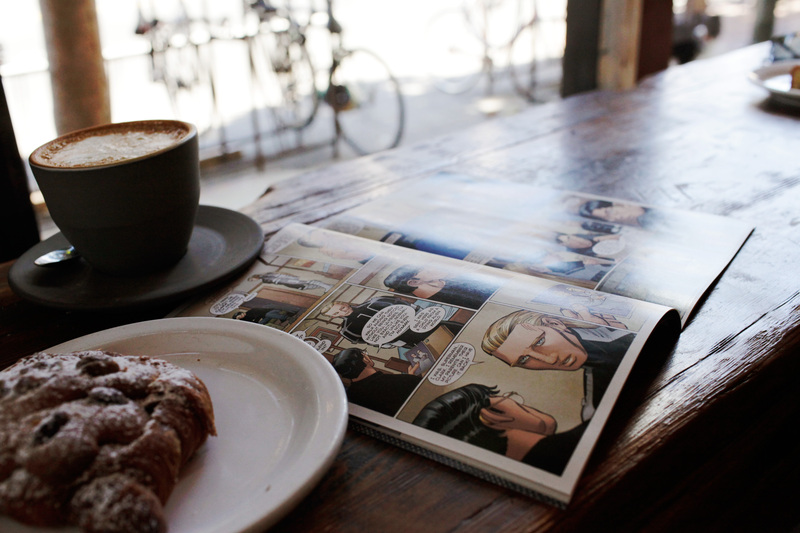 In this really cool blog he explores comic books through the perspective of Orthodox theology, while simultaneously sharing the fantastic coffee shops, restaurants, and art in San Fransisco’s Mission District. As long as I have personally known Fr. Niko, in addition to being a really great person, he has been a HUGE comic book fan. I remember learning so much from him about comics and our faith, as a friend at Hellenic College and Holy Cross and during our years as camp counselors together at St. Nicholas Ranch. I am so thankful that he is sharing his talents and knowledge with us, and really appreciate this awesome endeavor. I am also very honored and grateful he took the time to do this interview and look forward to reading, learning, and sharing his work in the years to come. In addition to the website, you can also learn more on the Christ, Coffee, and Comics facebook page. 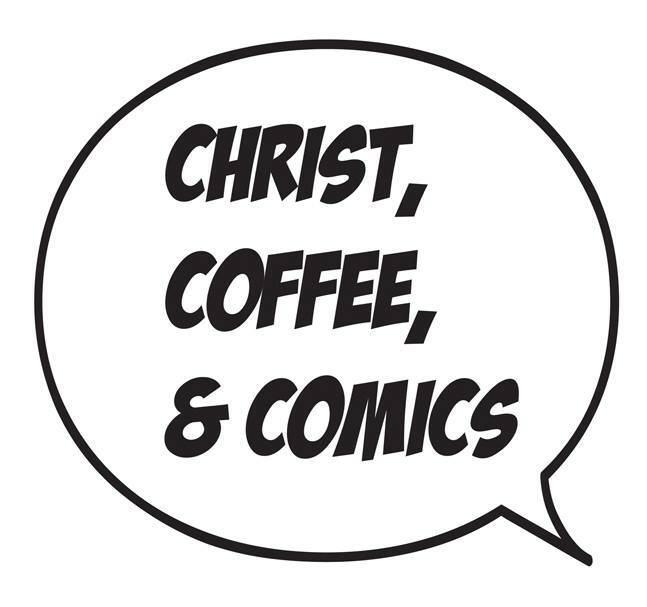 How would you describe Christ, Coffee, and Comics? What inspired you to start it? It’s been a dream of mine for a long time to write a blog as a component to my ministry. I love sharing things with others, and I have come to find I enjoy writing a great deal, as well. I’ve been into comic books for most of my life and have found a new appreciation for them as an adult, but given the explosion of comic book based movies in Hollywood these days, it seemed like a no brainer to do this blog. I try to start with a comic book movie or TV show, write a little bit about the comic book source material and how it affects me, positively or negatively. So it’s a little review, a little testimony, and a lot celebration. How do you choose the comic or subject matter you will talk about? I always have something to talk about! But seriously, I try to pick what’s mainstream, not just what I’m into at the moment, as that can be very obscure. And prayer plays a part, too. I believe God guides me in what I write, since it’s ultimately for His people and His glory. Do you often find that comics have theological meaning woven into the storyline? Comic books are like any medium. Some try to go really high concept, some go for artsy, others are just for kicks, etc. As for theological meaning, pop culture, in general, has lots of Bible story templates that are woven into what is produced, whether we know it or not- Messiah stories, paradise/fall stories, prophesy stories, etc. Depends on what the writer and artist are trying to say. I don’t know about “often” but I’d say it’s not infrequent. What was the first comic book you ever read and how old were you? Whew! I think I was ten and I believe it was Ghost Rider #27, which guest starred the X-Men. This was during comics’ heyday in the early 90s. I’m pretty sure I have the tattered copy somewhere. Do you have a favorite comic book or comic series? My favorite individual story is Batman: Year One, by Frank Miller and David Mazzucchelli (1987). It is a fantastic story of Bruce Wayne becoming Batman, but the way the story is told is unparalleled. Absolutely brilliant script and art, and more importantly, the words and pictures fit together seamlessly. It was the template for “Batman Begins,” but the comic was far superior. My favorite series of all time is X-Men. The concept of a group of people who are born differently and fight to protect those who hate them is very powerful and appeals to anyone. The movies have done an okay job reflecting this, but alas, they’re not made by comic books creators, like the Avengers movies are, so they drift too far away from the heart of the book, at least for me. What kind of comics do you wish you could see more of? Smarter, better dialogue. TV shows have the same problem right now, and it tends to spill across other mediums. I think I’m in a minority, though. What role does coffee play in your blog? I’m from Seattle and live in San Francisco, which means I’m a coffee drinker! Since I’m talking about an art form, ultimately, coffee shops are the perfect place for it! I have no idea how coffee and art came to be associated with one another so closely, but they are, and it’s a lot of fun. The Mission district in San Francisco has PLENTY of them, too, so there’s no shortage of great places I can enjoy writing in. 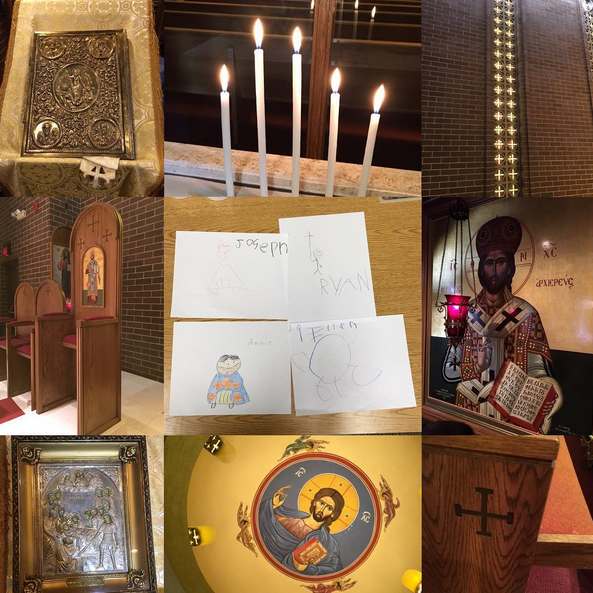 If you could tell those of our Orthodox youth who are thinking about pursuing the priesthood one (or several) thing(s) it would be: God calls everyone to do something in their life, based on the gifts He has given us. The priesthood is one part of the Body of Christ, but other parts are just as important. If someone chooses to go into the priesthood, it must be a calling. Make sure you’re spending time talking about it with God (which is what prayer is, at the end of the day) and He will take you where you need to go, which is what is best for you, as well. If you could tell aspiring young comic book writers one (or several) thing(s) it would be: I have absolutely no idea! I guess just make sure you have a well-rounded knowledge of all eras and types of comic books, not just one, and not just of those released the last 3-5 years. As a child, my favorite children’s book was or My favorite children’s book is: Probably any Bernstein Bears book. I loved those guys. If I could tell our Orthodox youth one thing it would be: God loves you, and I love you. That, plus everything else our faith teaches us becomes even more true as we get older. I’m so very honored to have the opportunity to interview the wonderful Kiki Vagianos. 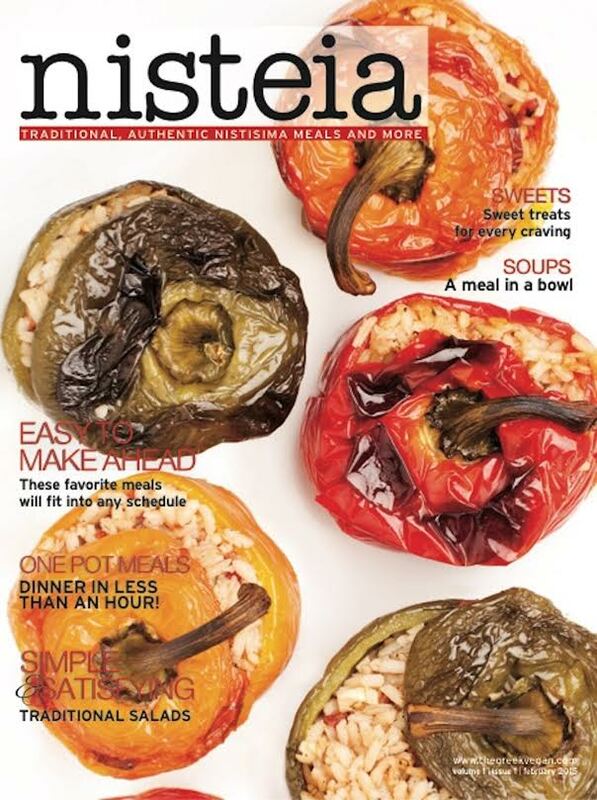 She is a talented chef, baker, writer, and the creator of The Greek Vegan and Nisteia Magazine. The Greek Vegan is a very helpful and informative blog where she shares family and personal fasting and vegan recipes. Kiki guides you through each of these delicious recipes, with helpful pictures and detailed instructions. In her magazine Nisteia, you will find gorgeous pictures, recipes, and food combinations to simplify and enhance meal planning during the fast and throughout the year. I am extremely thankful she took the time to do this interview and appreciate all the hard work that she is thankfully sharing with us! I so am excited to continue to read both The Greek Vegan and Nisteia Magazine in the days and years to come, and look forward to making all these wonderful recipes. How and why did The Greek Vegan begin? About three years ago, as a family project, my father and I decided to record and collect traditional, authentic fasting recipes in a standard and reproducible format. 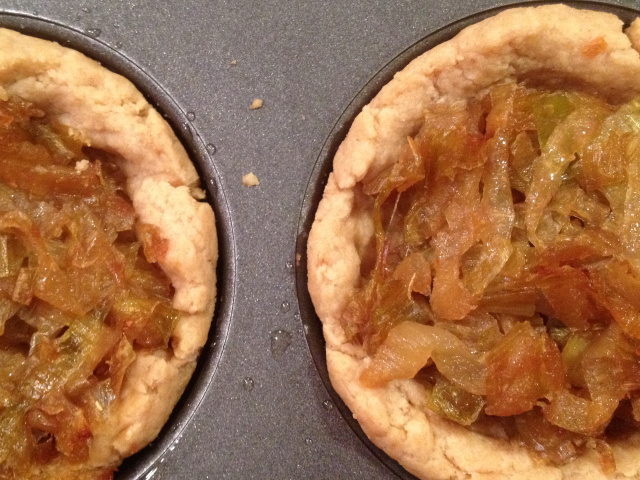 That meant no measuring by teacups or glasses or finger-widths and no ‘cooking until done but not burned’. Exact measurements, precise cooking times and a bit less accurate yields were much trickier to work out than we had expected. Often, we make a recipe over and over before we can get it to look and, most importantly, taste just right. And before it’s published, each recipe is tested 2 separate times to ensure that it is perfectly reproducible. What do you enjoy most about your job? 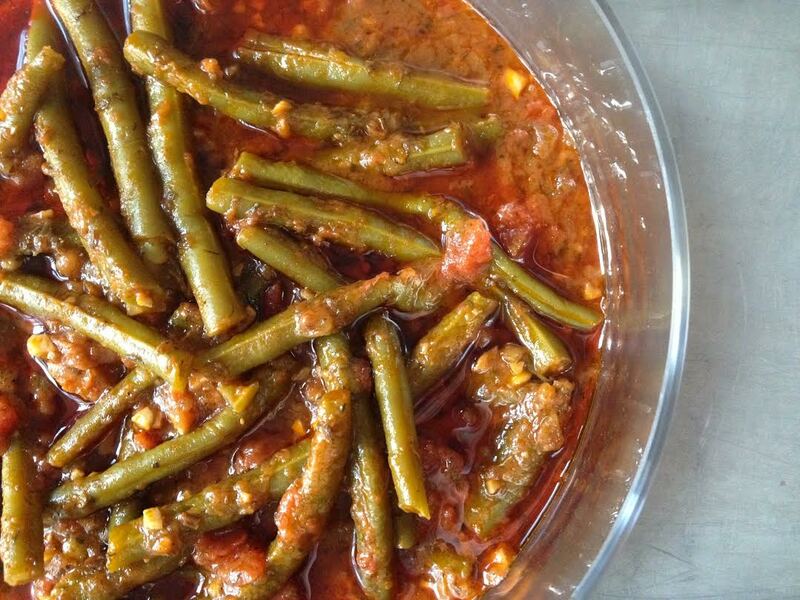 I love recreating and sharing these simple, healthy, delicious, and lesser-known Greek dishes. How do you choose the recipes? Well, we work a great deal with seasonal ingredients. So for example, winter is a great time to work on recipes that use root vegetables and hard squashes and cabbage. Dried fruits are fun to use too! It gives a kind of special significance to our dishes when we remember that the ingredients we use most at this time are harvested in the fall and dried, preserved or kept in cool cupboards to be used throughout the winter months. Funny to think of a time before supermarkets! But it really makes you look forward to the spring with its early greens and fresh herbs and the incredible bounty of summer and early fall. We’ve lost a lot of that excitement and anticipation being able to have fresh figs flown up from South America in January and tomatoes year round. 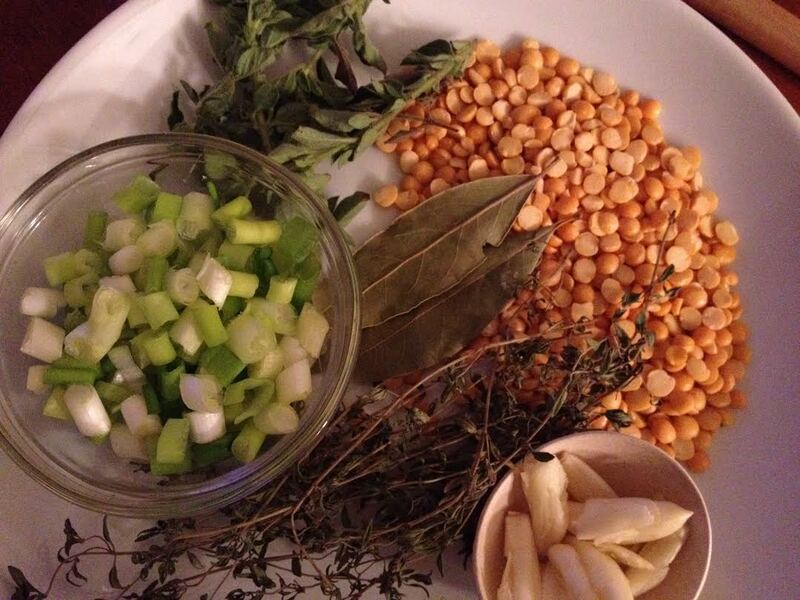 By cooking seasonally, you are more apt to sync up with the rhythm of the seasons. Of course, by fasting, we’re able to recapture some of that anticipation knowing at the end of 40 days a feast (of the church and our tables) is waiting. Is there anything in particular you look for in a recipe when choosing it? We look for a limited number of ingredients. We don’t have a cutoff but usually agree when there are a few too many for most people to manage. We look for simple prep and if the prep is more involved, we look for ways to break the recipe into stages to make it more manageable for home cooks with time constraints. We also look for versatile recipes where we recommend fresh ingredients first but can also suggest quality canned or frozen options for when time is tight. What are some of the most interesting ingredients you have ever used? I love using mahlepi. Mahlepi adds a flavor quite unmistakable but very difficult to describe in baked goods and sweet breads. It comes in a powder that, how odd is this, is made from the kernels inside of cherry stones. I’d like to know who first had the idea to make mahlepi and then I’d like to thank him (or her!). If you could tell aspiring young chefs and bakers one (or several) thing(s) it would be: Love your vegetables! And learn to let them shine. So often we cover them in sauces and cook them to death with very little of the natural, incredible flavors left for us to appreciate and enjoy. Don’t be too tempted by the razzle-dazzle dishes. Yes they can be fun and a ‘flaming anything’ is always exciting but less is more and simple can be simply delicious! As a child, my favorite children’s book was or My favorite children’s book is: The Chronicles of Narnia – the first three books especially. And the Wind in the Door, A Wrinkle in Time, The Secret Garden, Charlotte’s Web, the Phantom Tollbooth – there are just too, too many. Can you tell I have always loved to read? 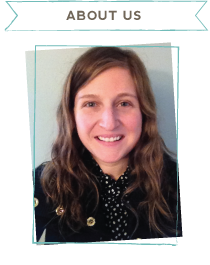 How does being Orthodox impact your work? Being Orthodox is really the reason for my work. The dishes we feature are all fasting and, I like to think, remind us that we through them we share in a thousands-year old history of Orthodox tradition. We eat many of the same dishes at the same times of year (and days of the week) that Orthodox Christians have since the time of Our Savior. How amazing is that when you think about it?! If I could tell our youth one thing it would be: I’ve found that for me, I am most happy and calm in my life when all aspects of my life are in harmony with my faith. We (fortunately or unfortunately) live in a modern and secular society that, in many ways, makes us feel silly or odd or out of place as Orthodox Christians when living our faith. 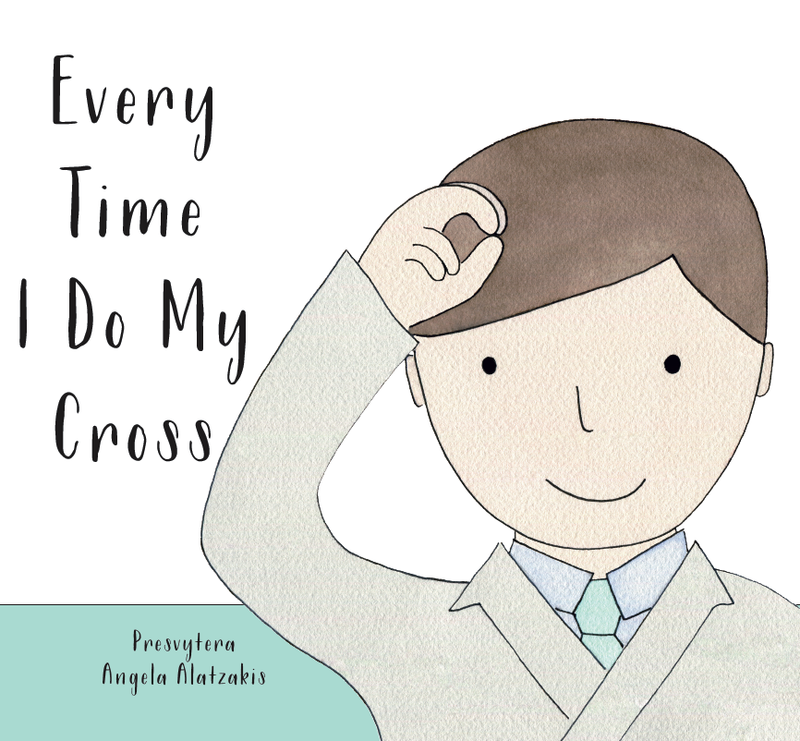 It’s often tempting to try and compartmentalize the different parts of our lives into our school or work life, our social life, our home life, our church life. Compartmentalizing allows us have some areas that are admittedly a little less Orthodox and a bit more secular. I think we’re tempted to do this because it seems to make it easier to straddle the fence between two such dissimilar worlds while making the minimum number of waves. In the end, it becomes increasingly more difficult to maintain this position and we feel the uneasiness grow within us taking away peace and calm. The temptation becomes greater and greater over time to allocate more and more pieces of our lives to the less Orthodox side of things. A slippery slope and a lifelong struggle, to be in the world but not of the world, and for each of us to navigate through with our family and spiritual father, prayer and hope. But this isn’t a new struggle and I find great comfort in that. Generations upon generations of Orthodox Christians have lived in non-Orthodox societies now and we have their many examples to follow. And no, it’s not easy some times – many times, and we all slip up and fall repeatedly. But we have Our Savior’s promise that He and His Mother and all of the saints will never leave us. You may think that being Orthodox is an unlucky chance at times but as you grow in the church and your faith you’ll realize how very, very lucky we are!